I must say I had a blast this Halloween. My favorite part about Halloween is hand-making my costume and showing it off to every one else. This year I wanted to do a costume theme with my boyfriend, so we decided to do a sea creatures. I dressed up as a mermaid, and he ended up being a jellyfish. 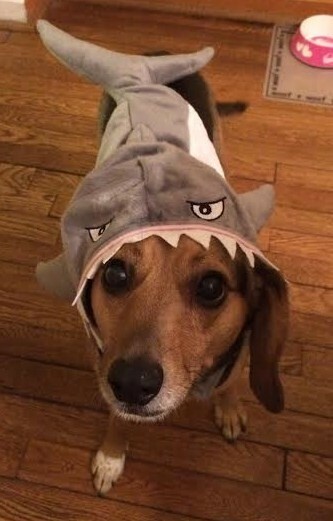 And to really make things cute, I bought my dog a shark costume to wear but that I only lasted for about 5 minutes. We took some great pictures of her so that’s okay. 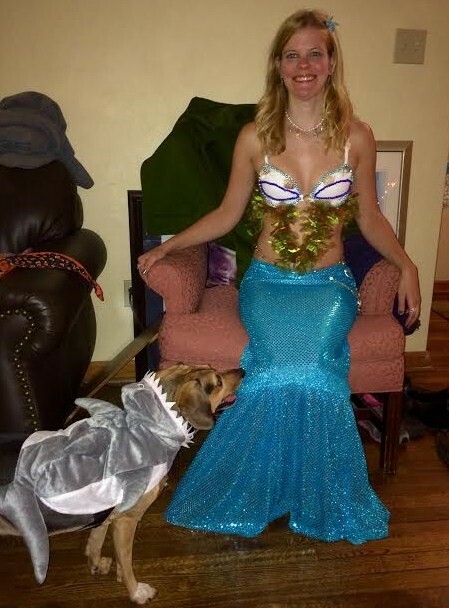 Besides my dogs shark costume, both me and my boyfriends costumes were of course handmade. For my mermaid costume, I just made a pencil skirt out of blue sequenced fabric and included ruffles at the end to make the fins. For the bra top I attached blue beads and seashells, and glued some fake seaweed to hang from the bra top. 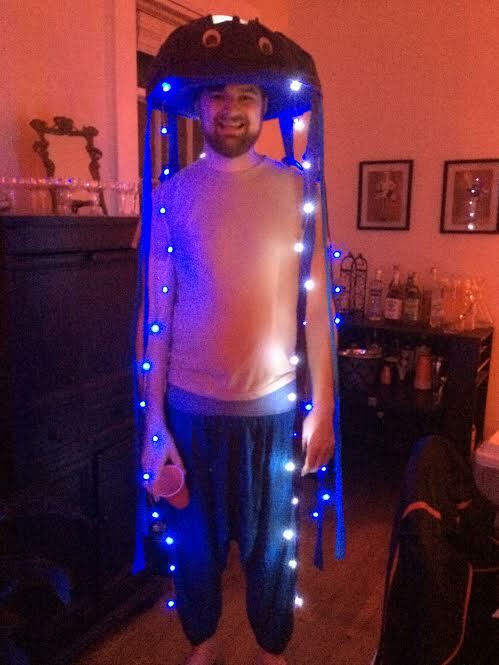 For my boyfriends jellyfish costume, we covered a sombrero hat with bubble wrap, blue fabric, googly eyes, and battery operated lights on the inside. For the tentacles, we just hung pieces of blue fabrics with blue and white strings lights. Our costumes looked great, and I am really proud of the work that we put into them. 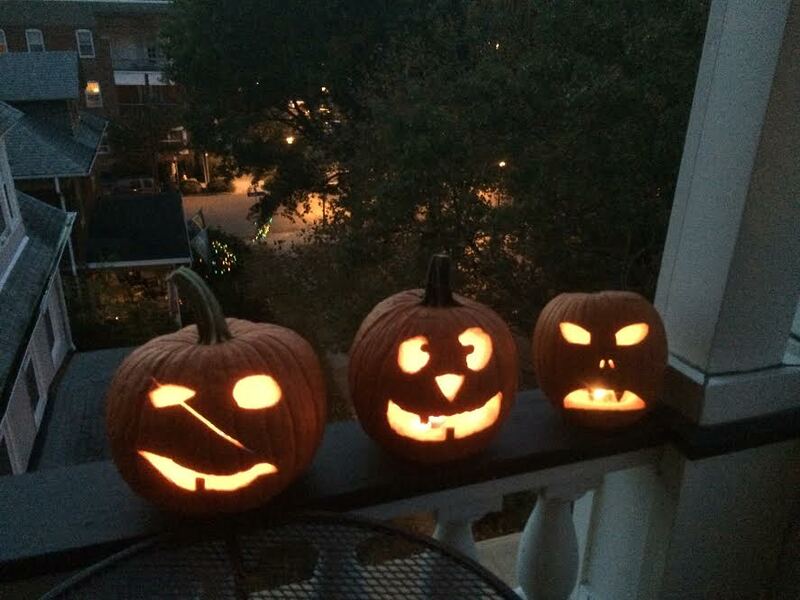 Hope everyone had a spooky and fantastic Halloween!